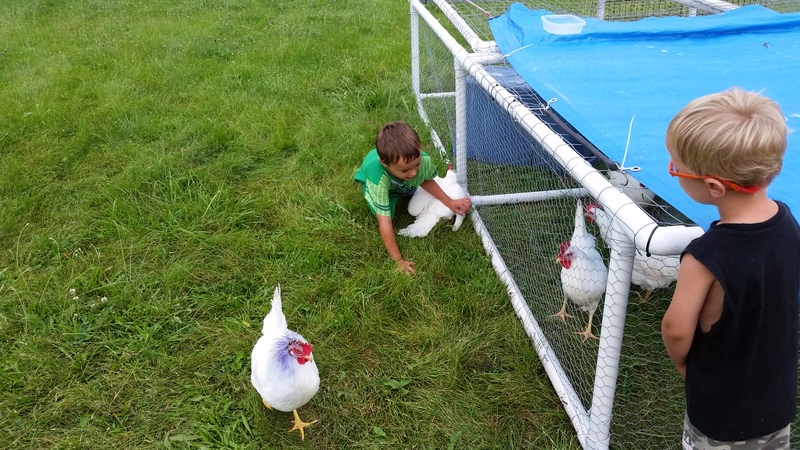 The boys love the chickens. Today, they were playing catch and release with them. They’d chase the poor girl, catch her, love on her, let her go and start the process all over again. 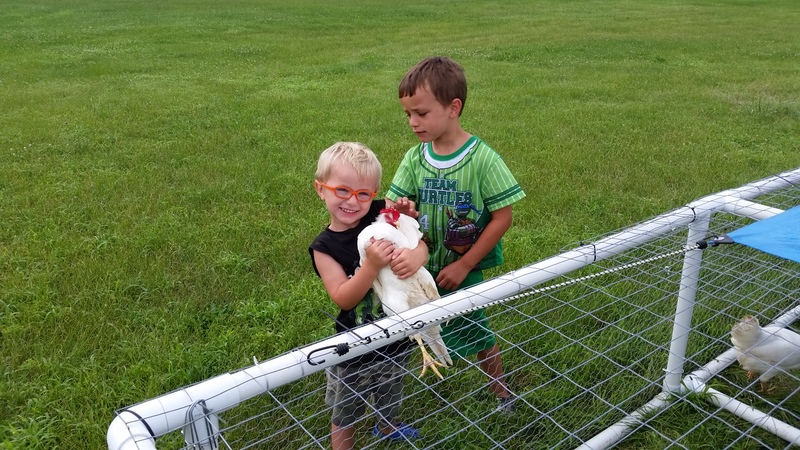 It was funny and cute to watch, but probably not so much fun for the hen. 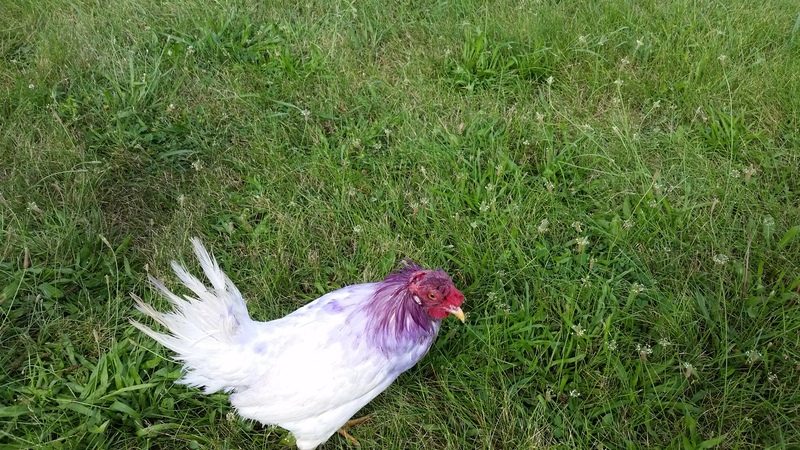 Yesterday, I tried to re-introduce the sad blue-headed hen to the rest of the flock. I distracted the others with some borage and lovage from the kitchen garden and set her in the coop as gently as a raindrop. Almost as soon as her little feet hit the grass, the other girls swarmed and started to bully her mercilessly. I jumped in, picked her up and let her run around the yard before putting her back in solitary confinement. Her head wound is healing but the Blu-Kote, an antibiotic that helps the healing along, is obviously not working to deter the pecking. 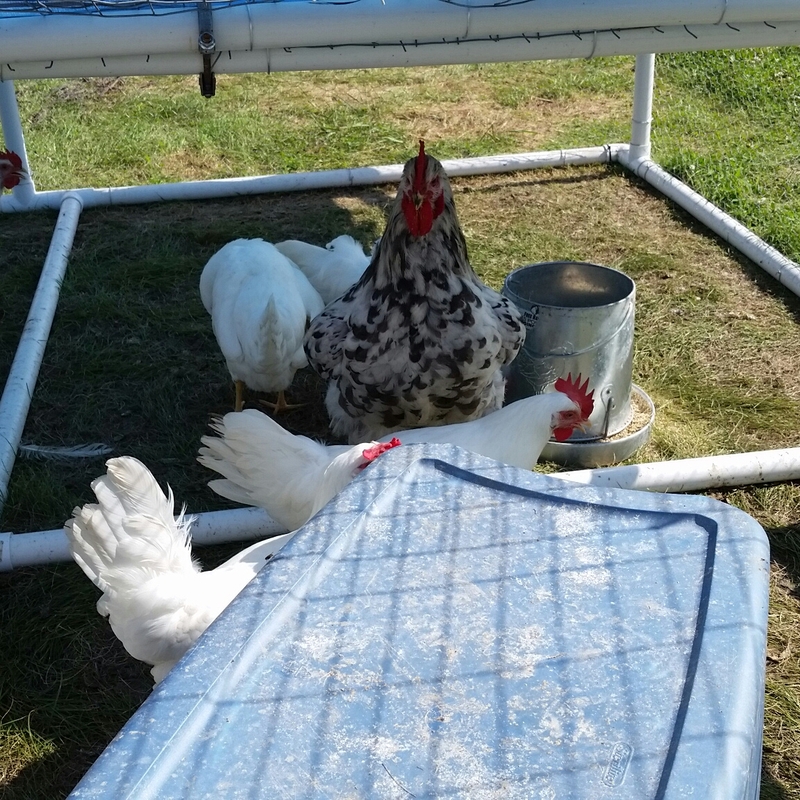 The girls pay no attention to the blue dye and Pecky just stands by and watches the carnage. Since the Blu-Kote was a bust, it’s time to try other methods. I’ve read that 3M makes Vetrap, a gauze for poultry and other animals. I’m sure I can find this at Big R or any feed supply store. Many poultry and livestock lovers swear by it. It comes in different colors too. Maybe I’ll try to match her eyes. It’s basically an Ace bandage but thinner, less sticky and more breathable. If we keep her open wound covered, we may try a second attempt at re-introduction. If that doesn’t work, we’ll need to keep her isolated until the wound fully heals and try again. We’re keeping her in her single cell next to the big run so the others can see her and maybe feel a little guilty about how they’ve treated her. I’m sure in time they will show remorse and welcome her back with open wings and closed beaks.